This could be a physical binder, or if you prefer going paperless use an app like Evernote. Keep all your notes, receipts, confirmation numbers, and documents that you need for moving. Begin to estimate how much your move is going to cost. Don’t forget to compare prices between companies and shop around. Or, let Moved do this for you. 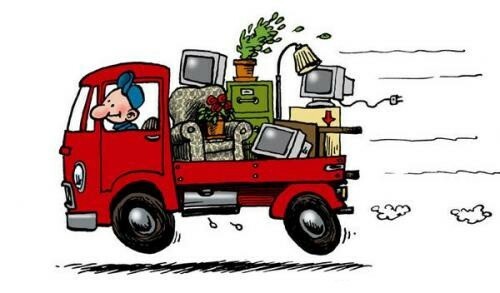 We’ll obtain the best quotes for your move, saving you time, stress, and money! It is never too early to start getting rid of things you don’t need. Start early and work through one room at a time. This could be required by your new landlord or HOA, and will be much appreciated by your new vet. It can take several weeks for your current physician’s office to transfer your records over to a new office, so you don’t want to delay. Sell the items you don’t want to take with you. If you live in an apartment or don’t want to host a sale, there are plenty of online options to choose from — try Craigslist, LetGo, or OfferUp. Donate anything that doesn’t sell. Gather the items that you want to donate and call a donation center in your area that will pick up items. Be sure to schedule the pick-up at least one month before you move as they book up far in advance. These are documents that you don’t want to worry about finding once everything is boxed up. Gather them into one place and make sure you know where they are at all times. If you have children find out what requirements they need to enroll in their new school, such as shot records and a physical. You will need lots of boxes and packing supplies to protect your valuable items. Try contacting grocery stores and flower shops in your area to see if you can collect the boxes they are finished with. Confirm the finer details of the move — such as suggested form of payment, what’s included and not included in the quote (i.e. disassembly of items, reassembly of items, insurance, arrival time, etc. ).Read more here on working with a moving company. When grocery shopping start to only buy what you need for the immediate time. You don’t want to pay extra to move boxes of cupboard staples. Work at a steady pace so you aren’t having to rush at the end. Taking your time will ensure that you have time to properly label your boxes as you go. This bag could include things like your Moving Binder, toothbrush, toothpaste, medication, phone charger, and a roll of toilet paper. This is a bag that you will take with you as you move instead of putting on the truck. Having the list prepared early will stop you from accidentally packing these items. You cannot move them on the trucks. Depending on what type of plant you have, you could try shipping them or if at all possible bring them with you in your vehicle. If they are too large consider your option of just taking a clipping with you to start again in your new home. If you are making a long-distance move you will need travel reservations. If you are driving long distance, have your car serviced to make sure it is ready and safe for travel. Throw yourself a moving party so you have a last chance to say good-bye to family and friends in the area. Develop a plan for where you are going to place furniture in your new home. Draw a sketch to help movers place items in your new home. Confirm dates and times with any company that will be involved with your move. The coming week is going to be busy and many of your kitchen items will be in boxes. Eliminate needing to spend time cooking and cleaning dishes. Really thing about what items you need and purge everything else. Moved can update your address with the postal service, free of charge! If you don’t use it on a daily basis it is time to pack it up. If you do use it on a daily basis then you will most likely want to mark it for your Essentials Bag. Charges in a new location can cause your account to be flagged. If you are moving your refrigerator make sure that you empty and defrost it with at least 24 hours to go before your move. Drain water from the outdoor hose and prepare all outdoor furniture and landscaping items for the move. Drain gasoline from lawn mowers, trimmers, and other equipment. If you were renting make sure you do any repairs necessary to get your security deposit back. This includes trash, lawn-care, daycare, electric, cell phone, internet etc. If possible transfer your memberships at places like health clubs, gyms, or business networking groups. It’s time for anything that is still unpacked to get packed. Moving day always takes longer than expected so start early. Place flooring protector throughout your house since your helpers or movers are not going to be taking shoes on and off as they enter and exit. Look inside of closets and cabinets to make sure that you have not forgotten anything. Don’t forget the attic, basement, and garage if you have them. Take one minute to walk through once your home is empty and soak in all the good memories that you had. Then make sure all windows and doors are locked and the keys have been transferred. Hang on to all of your receipts for your moving expenses. If any discrepancies come up later you will want to have a good record. This process differs from state to state. Contact the DMV prior to going into the office so you know exactly what you need to have. Keep your vehicle titles, birth certificate, and proof of residency together in one location during your move. If moving out of state this is easily completed when obtaining your new driver’s license. Family and friends might not send you mail on a regular basis so make sure you notify them of your new address. The change of address card that you complete with the USPS will not help if they mail you something after the 6 month period. Take time to enjoy establishing your new home. Hit the streets and find your new favorite restaurants and hang out spots. Here is a printable version of our moving checklist!